Mum, Can I Eat This? is a great everyday cookbook for families dealing with their children’s food intolerances. It has tasty recipes and useful tips. 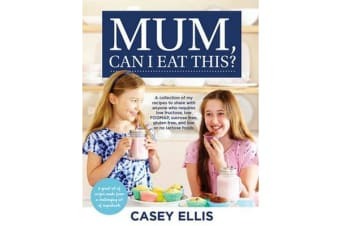 This book will also be a great help over Christmas and at other special events, and for when parents are starting out and dont know what to cook with the limited ingredients. Usually, those who suffer from food intolerances have no option but to eat blander foods or miss out all together. Not any more. Mum, Can I Eat This? is a great everyday cookbook for families dealing with their children’s food intolerances. It has tasty food and useful tips, and recipes for both everyday use and special occasions. 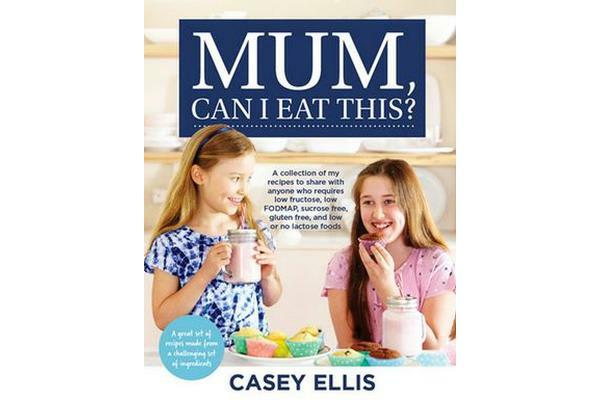 When Casey Ellis’s children began to experience food intolerances, she found there was a lack of credible information and cookbooks that catered for children. And most of the recipes she did find, her children would never eat because they didnt taste quite right. To ease the pain and frustration of food intolerances in her family, Casey took to the stove. After much trial and error, she has created a degree of normality in her children’s lives, and it tastes amazing! She has published this collection of recipes to share with other families. All ingredients in this book have been approved by an Accredited Practising Dietitian.